Neuropathic pain arises from the inappropriate activation of nociceptive pathways in the absence of noxious stimulus. Neuropathic pain states usually arise from injuries to the nervous system, whether by trauma, ischemia, or metabolic dysfunction. These syndromes can arise from injury at any level of the neuraxis, including the peripheral nerve (nerve injury, ischemic or diabetic neuropathy), spinal cord (spinal cord injury) or brain (thalamic pain syndrome secondary to infarction). 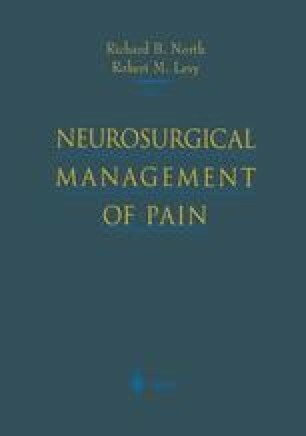 In that neuropathic pain is often difficult to treat and unaffected by oral narcotics, neurosurgeons are frequently called upon to treat difficult neuropathic pain syndromes. While every patient presents a unique diagnostic and therapeutic challenge, there are certain general approaches that can help to direct therapy in most cases.